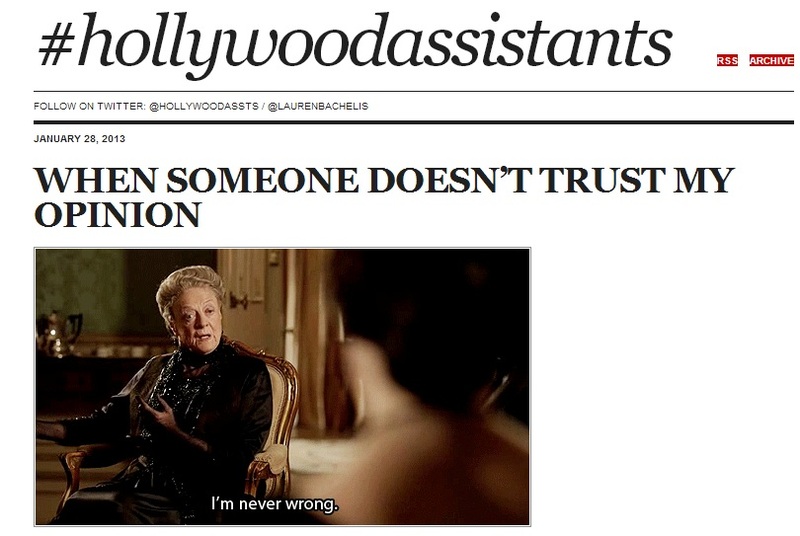 #HollywoodAssistants may be the best blog you are not reading. It features Internet Memes from Los Angeles and worth five minutes of your time. The site features animated GIFs focusing on bad things that happen to Hollywood assistants. Take a study break and check it out.